Gear up your school spirit with the gift of awesome NCAA and college products. Show your collegiate pride by wearing this sterling silver small center wire bangle from LogoArt. 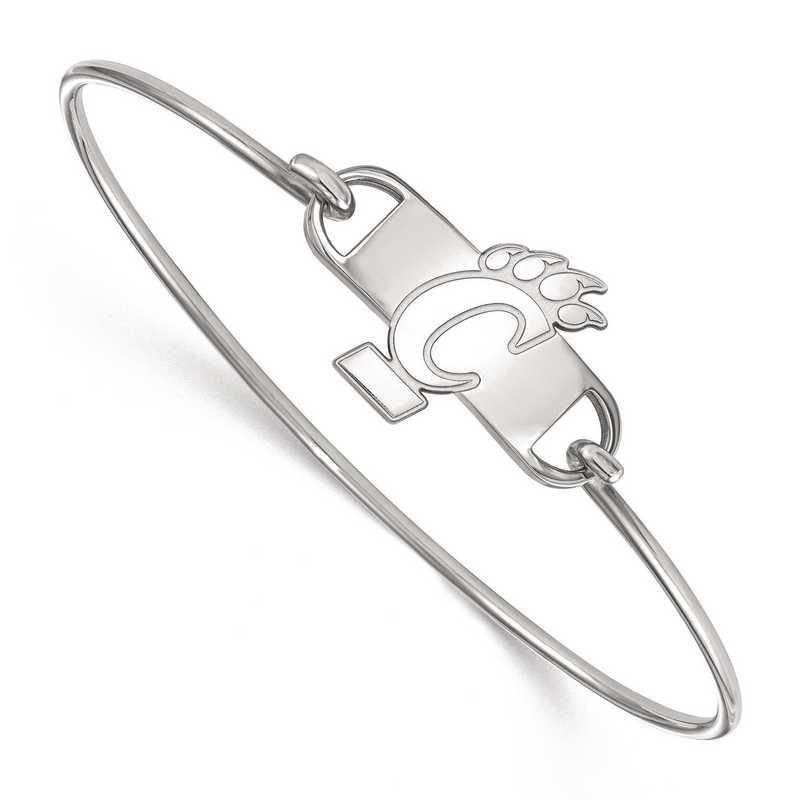 Shines with polished finish, this 7-inch long and 2mm wide bangle features logo of University of Cincinnati and secures with hook clasp. This bangle perfectly enhances your appearance, attitude and school spirit.19x24mm Manufacturer direct from a trusted supplier.